The renowned South Kingstown distillery embraces its beer roots while making whiskey. 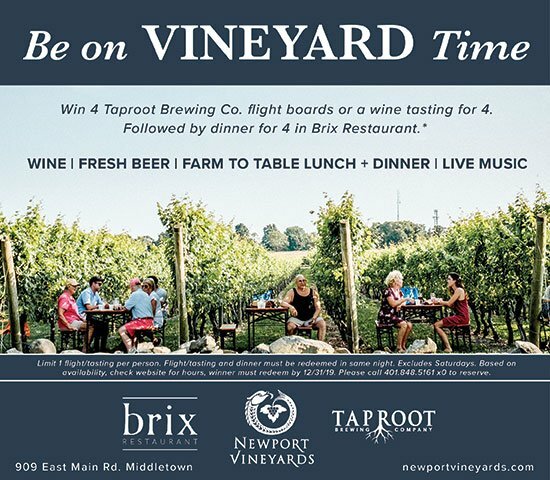 Try its beers on Friday at a release party. People look at Mike Reppucci as if he’s crazy. They can’t fathom how or why the founder of Sons of Liberty Spirits Co. began brewing beer while operating a full-scale whiskey distillery. It just doesn’t make sense. Actually, as Reppucci says, it makes perfect sense. The correlation is abundantly clear: Whiskey is a beer that has been distilled. It’s a phrase the founder repeats when articulating his business model. The concept is so seemingly obvious that Reppucci is almost surprised that his company is one of only a handful in the world producing beer in addition to distilling whiskey. The Sons of Liberty mash tun. The process of converting beer to whiskey is less intimidating than you think. In order to craft its award-winning single malt whiskey, Sons of Liberty begins by brewing a batch of beer. Then, that beer is heated to separate the alcohol and water. Thus, courtesy of distillation, a 10 percent beer transforms into a 60 percent whiskey. If you visit the headquarters in South Kingstown, you can taste firsthand the relationship between the whiskey product and the beer it began as. Each whiskey is paired with its predecessor in a flight; the company's staple, Uprising, begins as a full-bodied stout, while their classic Battle Cry originates from a Belgian triple. When consumed successively, there is an undeniable reciprocity that shows the parallels of whiskey and beer. 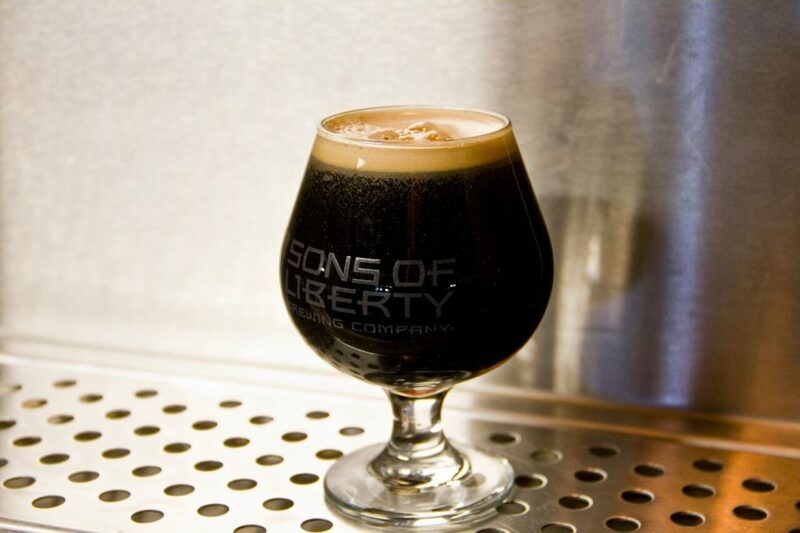 Despite just receiving a brewer’s license in September of 2016, Sons of Liberty’s brewing operation is growing rapidly. The distillery boasts a 3,000-square-foot room stocked with barrel-aged sour beers and it regularly produces Gose and Berliner Weisse kettle sours. To top it off, SOL also ages beer in used whiskey barrels. While barrel-aged sours are aged in neutral wine barrels, many of Sons of Liberty’s whiskey beers soak in newly charred American oak barrels. For Reppucci, it is all about experimentation. His most recent brew is a Pedro Ximenez sherry-flavored whiskey barrel-finished stout — a complex blend of rich flavors and a sixteen-syllable title to accompany it because, well, why not? The Sons of Liberty Coolship series, which will tentatively debut early this summer, is exactly that — fun. All of the beers will be named after employees in a playful brand campaign that deviates from the distillery’s hard-nosed, patriotic whiskey product. The theme of the upcoming series embodies the essence of the methodology. A coolship is an open-topped brewing vessel that is typically rolled outside or left in open air to allow for spontaneous fermentation. Over time, the yeast in the air transforms the liquid into a surprise product. It’s mysterious and unpredictable. It’s old school, simple and doesn’t take itself too seriously. It’s the medium and the message. While Reppucci asserts Sons of Liberty will always be a distillery first, he is demonstrating that the company is doing things with beer that almost no one else in the world, let alone Rhode Island, is doing. Still, the brewing operation is in its infancy, and the beer can only be purchased on the distillery’s premises. Reppucci plans to get his beer on tap at Rhode Island bars in the near future and is contemplating other methods of distribution and packaging. Attend That Big Beer Release Party You Are Going to on Friday, March 3 from 5-10 p.m. for a chance to taste Sons of Liberty's beers. Eddie's BBQ with be on site serving food, and there will be live music from Frankenphil.